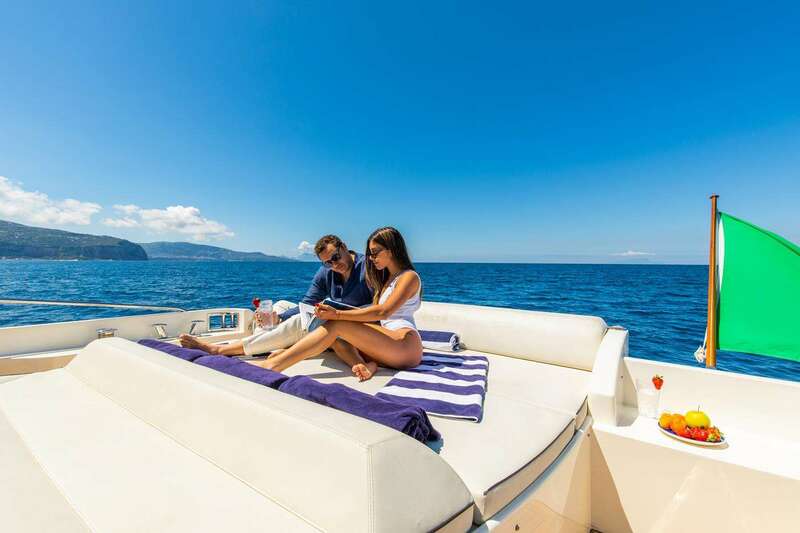 Fly Away is a Uniesse 65 Sport with aggressive lines and spacious and comfortable interiors. 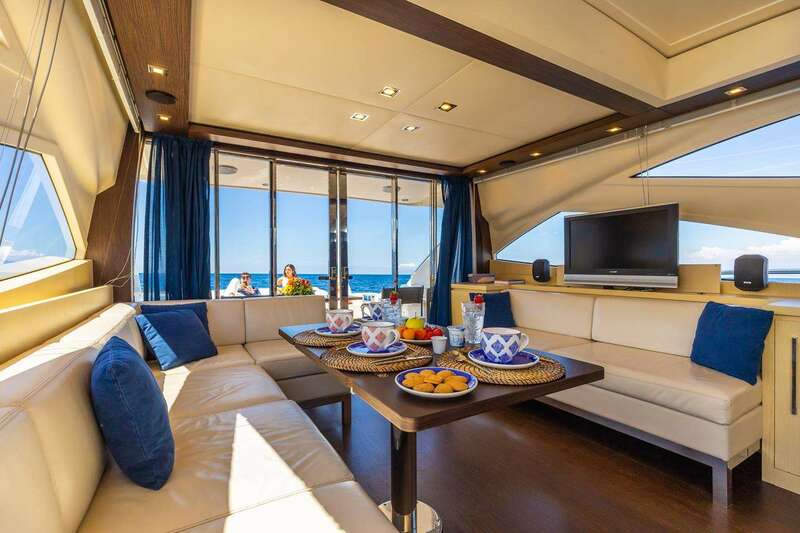 The elegant living room, extremely airy thanks to a minimalist decor and light tones with touches of blue, is perfect both for relaxing in front of the TV and for dining indoors on colder evenings. 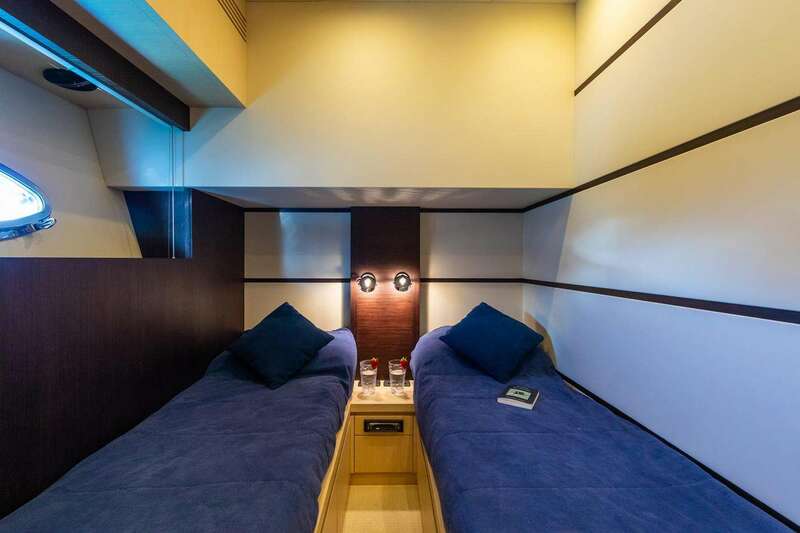 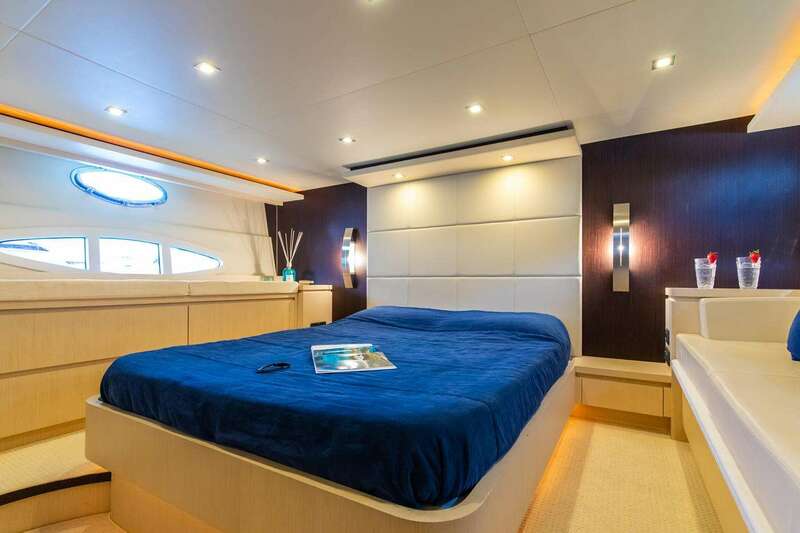 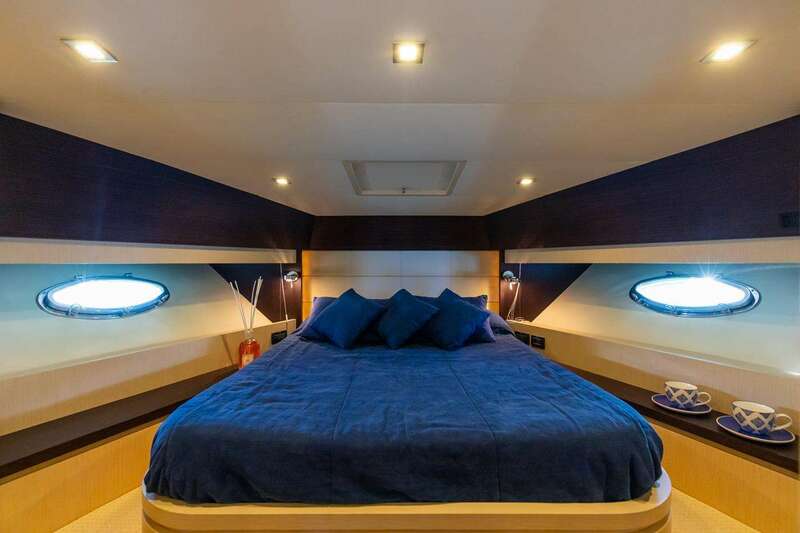 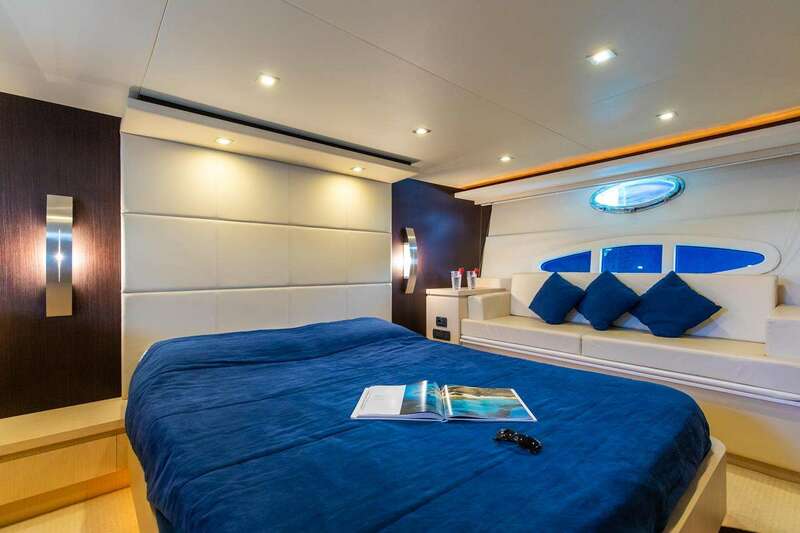 The lower deck houses the sleeping area, divided into three cabins including a full-beam Master stateroom with a large walk-in closet, TV and sofa; a VIP suite, also full beam, and a twin cabin, all with private bathroom. 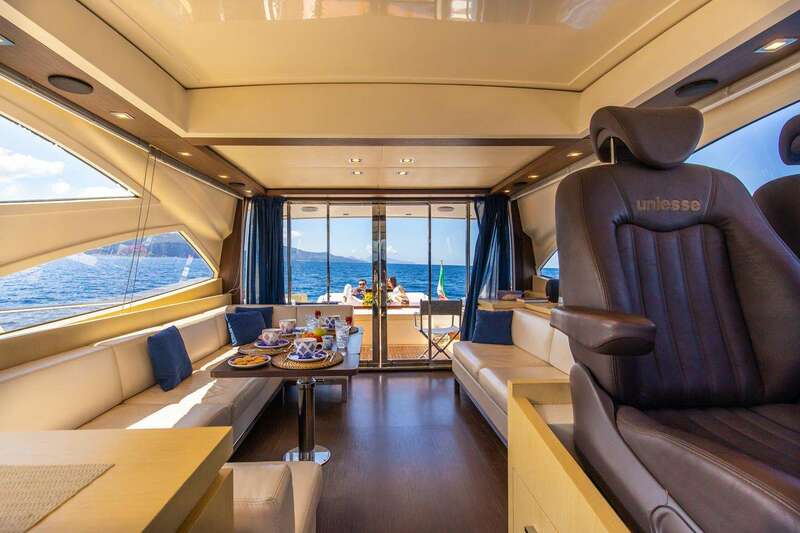 The outdoor spaces consist of the lounge area on the aft deck, easily convertible into outdoor dining area, and in the suggestive solarium on the bow, from which you can admire views of unparalleled beauty at 360 degrees. 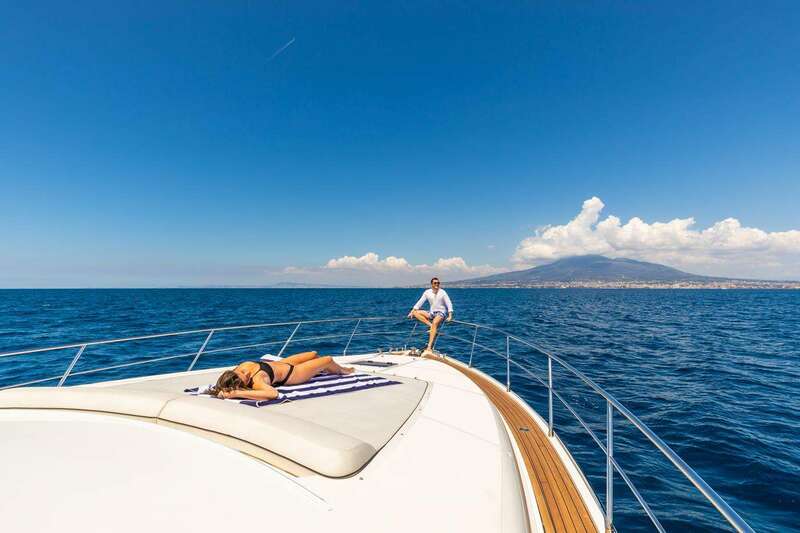 Incredibly performing, it reaches 35 knots at maximum speed, Fly Away allows its guests an extremely dynamic holiday.